My all time favorite book of my life is definitely The Neverending story by Michael Ende. The movie was also great, so I had high expectations from the game. Boy, was I let down. For those who don't know, the story is about the boy who, by reading a book, managed to travel to the world of the Book, Fantasia, and save the dying queen. 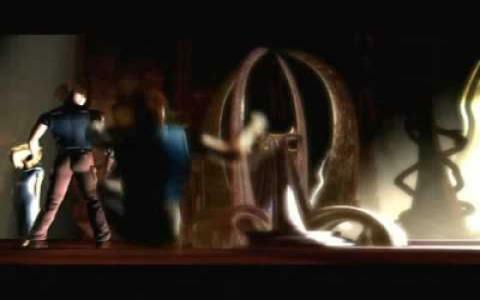 The Auryn Quest is a long expected presentation of Atreyu in his adventure in the land of Fantasia. But unfortunately, it failed on so many levels. Firstly, the controls of the game are confusing and messy. Secondly, the game was supposed to be an action adventure game, but it's more of an arcade platformer. Like in most jump 'n runs, you have to jump around a lot to get to certain points. That's probably the basis of the game. A lot and lot of seemingly unnecessary jumping around. The puzzles are too easy and honestly quite disappointing. The game's graphics, though, are really spectacular. That's the reason I decided to stick around for a while longer than intended. The scenery is quite beautiful and the animation is also very good. The music is also very captivating and delivers in the way of setting the magical and adventurous mood. If only the rest of the game was that magical. Too bad. I am truly a great Neverending Story fan.